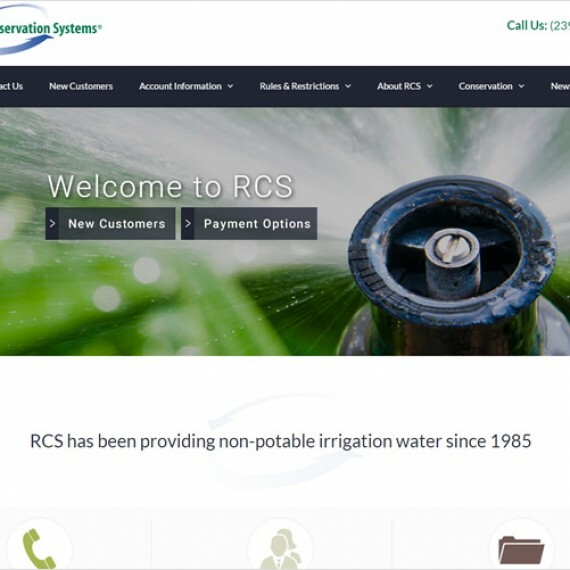 Resource Conservation Systems (RCS) was founded in 1985 and provides non-potable irrigation water to commercial, residential communities and golf courses in Bonita Springs, North Naples and Fort Myers. RCS’s staff is an experienced team with numerous State of Florida certifications and accreditation in the field of water treatment and management. They provide the day-to-day operation for the company’s service area and are responsible for the monitoring and maintenance of the irrigation pump stations, supply wells, holding ponds and underground infrastructure associated with the delivery of irrigation water to our customers. RCS also provides customers with information about water conservation and guidance in the management of individual irrigation systems.